Tax season. There are few other words that can make a business owner shudder in complete dread. Whether you are the one who waits until the deadline to file or one who feels pressure and urgency to get it done as quickly as possible, you need to be careful to avoid common mistakes. Every mistake you make on tax preparation can lead to lost tax deductions, increased penalties, missing information or other expensive mistakes. Here are 10 common mistakes business owners make that you will want to avoid this tax season. Protect your business - and your sanity - by avoiding these all-too-common mistakes. When you pay your taxes late, you start incurring penalty and interest fees. 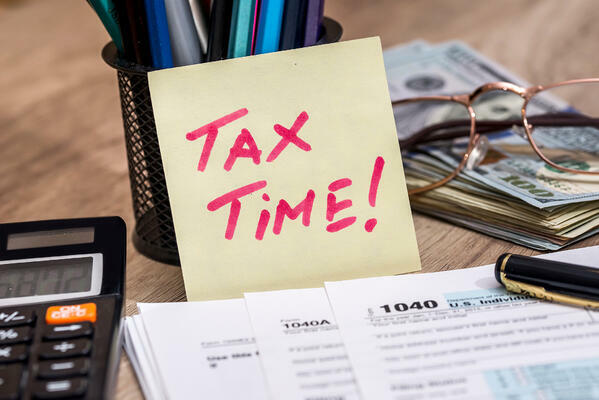 If you aren’t ready to file by the tax deadline, you are allowed to file a tax extension, but this will not offset the fees. Try to pay what you think you will owe on time, even if you are not prepared to file. You may also consider paying quarterly taxes to avoid late fees. Many business owners, especially those with small or home-based businesses, have a hard time separating business and personal income and expenses. This may cause confusion during tax time, making it hard to track and report the right expenses. To avoid this mistake, set up a bank account specific for your business, and use it to cover your business expenses only. Payroll compliance is critical to avoiding IRS fees. Making a mistake calculating your IRS payroll deductions, reporting wages to employees or indicating the type of employee you’ve hired (1099 contractors or W-2 employees) can lead to serious consequences. According to the US Small Business Administration, 40% of small businesses have an average of $845 in IRS penalties per year because of payroll mistakes. Consider outsourcing payroll to a PEO to ensure your deductions and operations are compliant. Applying the right deductions can help you save money in taxes. Don’t overlook key small business tax deductions like accounting fees, office supplies, business travel and other related expenses. However, you must also refrain from exaggerating deductions, as it can raise the possibility of an IRS audit. Often businesses don’t take deductions because they don’t keep accurate records or they can’t find the records when tax time comes. Make sure your records are up-to-date, reconciled, properly tracked and supported with actual receipts. To avoid this mistake, and to make tax preparation easier, review your accounts weekly or use a bookkeeper or accounting software to help manage your financial information. The IRS is an important part of the tax process, but that is just one part. You may also need to pay state and local taxes, excise tax, and self-employment tax. Consult your accountant or PEO to ensure you are considering all of the taxes you need to pay. Business owners have many smaller expenses they can deduct that are often overlooked. For instance, if you take a class or subscribe to a magazine to help expand your skills, these need to be recorded. Be sure to track all business-related expenses - like gas, domain registration and even printer ink - which are easy to overlook in the busy day-to-day operations of a business. When you have employees, it is easy to make small mistakes that can create a headache for your tax return. This is where a tax professional or PEO can be of great help, ensuring all the small details are properly handled. Even if you are not trying to, it can be easier than you think to hide income from the IRS. If you get audited, they will find it. Report all income, even tips and other small accounts, to avoid serious repercussions. Failing to report all income is dangerous, but over-reporting your income will cause you to pay more in taxes than you should. For example, if you are collecting sales tax, do not report the sales tax as income. Subtract it to ensure you are not overpaying. Accuracy and accountability are the keys to successful business tax preparation. Consider these common mistakes when filing taxes to make it less painful for you and your business. Partnering with a PEO can also help you ensure that you have everything in line to property organize your finances and avoid these mistakes when filing business taxes.